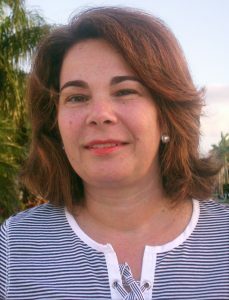 Certified independent legacy navigator Beatriz “Bina” Cymberknopf will be leading a workshop on “How to Write Your Own Legacy Letter” at the Chabad of Delray Beach on Sundays, Feb. 5 and Feb. 12. What do you think is more important: Instructions for what to do with your possessions when you are gone or a representation of what you found important in life and the values you want to pass on to your loves ones? This is the question raised by the concept of creating ethics wills/legacy letters. Beatriz “Bina” Cymberknopf of Greenacres is one of the first people in the state of Florida to become a certified independent legacy navigator for ethical wills/legacy letters. Cymberknopf got her certification through the Celebrations of Life organization in Minneapolis, a company which has very successfully been doing this kind of work since 2007. 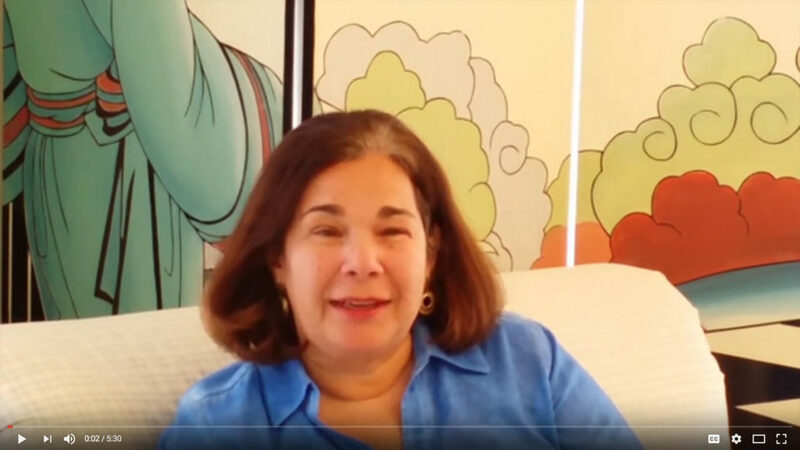 On Jan. 9, Cymberknopf gave her first free introductory session about what she does to a group at the Chabad of Delray Beach. According to Cymberknopf, many people who attended that session wanted to do further work with her. One of those people is Jean Mallin of Boynton Beach. Now, Cymberknopf is giving a much more detailed workshop about “How to Write Your Own Legacy Letter” from noon to 1:30 p.m. on Sundays, Feb. 5 and Feb. 12 again at the Chabad of Delray Beach. Cost of the workshop is $65 plus a $10 fee for a Celebrations of Life workbook. Workshop participants will be doing exercises out of this workbook to help guide them how to prepare their legacy letters. “A legacy letter is a heartfelt expression of what truly matters most in life,” Cymberknopf said. “This workshop will teach you how to frame your thoughts and ideas for writing a heartfelt letter that summarizes and shares your values, faiths, beliefs, life lessons, love and forgiveness. Cymberknopf said that some people will be able to finish their Legacy Letters on their own after the workshop and some will need extra guidance from her in order to finish this process. Rabbi Sholom Korf of the Chabad of Delray Beach explained that the concept of an ethical will is not new as it goes all the way back to The Bible. Cymberknopf conducts workshops and individual coaching sessions to help individuals and families define and share their values, hopes and life lessons for loved ones and future generations. She also coordinates the preservation of each client’s ethical will/legacy letter through professionally prepared documents, published books and other media. “Taking the time to create a legacy letter for your loved ones and all future generations of your family will enable them to live intentionally and purposefully,” Cymberknopf said. Korf added that one of the most important gifts a person can provide their family and all future generations with is the gift of their wisdom and insight. Tracie Bluse Ward, president and founder of Celebrations of Life, said that ethical wills today are being written by people at turning points and transitions in their lives and when facing challenging life situations. “Ethical wills are usually shared with family and community while the writer is still alive,” Ward said. “These seem to have more impact than writing memoirs or autobiographies like people used to do. Also, people are doing this at a much younger age today. It’s not just for people in their 70’s, 80’s and 90’s; people in their 40’s, 50’s and 60’s want to start sharing their legacies with their families as well. The Chabad of Delray Beach is located at 7495 W. Atlantic Ave.
To register for the event, call Lisa Golub at 561-573-6939. To contact Cymberknopf, email binaazjz@gmail.com or 561-350-0814. For more information about Celebrations of Life, visit www.celebrationsoflife.net, or contact Ward at tracie@celebrationsoflife.net or 651-600-6412.